The "Ponderosa" is for sale! Imagine having your very own private little piece of paradise! 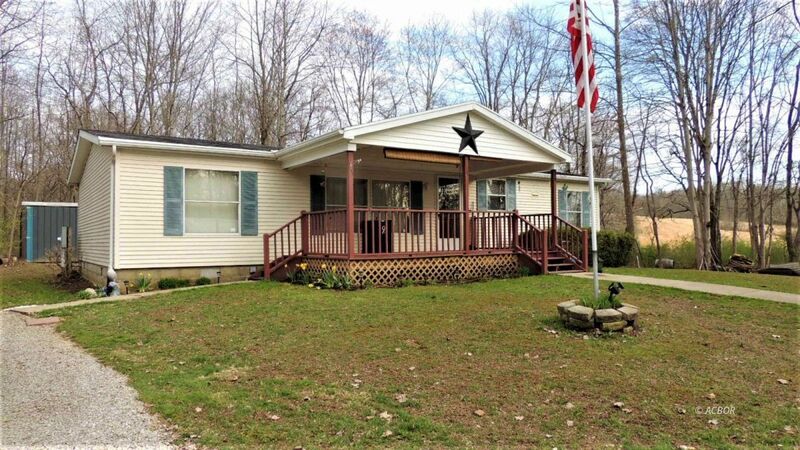 This 3 bedroom 2 bath home is situated on just shy of 3 acres, is only 2 miles from The Crossroads convenience store on SR 56 and two miles to the The Plains on all paved roads. The owners have done a great job of maintaining the home so there is no work to be done--just bring your welcome mat and start planning your first party! There is plenty of room for your outdoor activities and gardening. If you like perennials, you're in luck because the owner has planted tons of them and they are now getting ready to begin their Spring fashion show. The combination of the heat pump/AC and the electric fireplace provide for your comfort year 'round. All this and a great location add up to one sweet package for you! Ponderosa street sign was made by the city for this owner and will stay with the property. The carport does not stay.